The UK High Court has rejected a lawsuit by Rosneft challenging the legality of sanctions against its oilfield operations and international financing. The court has ruled that for testing the legality of the sanctions British law and British courts are subordinate to the European Union, and that Rosneft must try its case in the European Court of Justice (CJEU) in Luxembourg. The ruling, which was issued on Monday, contradicts the judgement of the Supreme Court, the UK’s highest court, which decided last March that sanctions against the Iranian bank, Bank Mellat, had violated British law. The new judgement makes no reference to this or any other case decided recently in London on the illegality of UK Government sanctions. 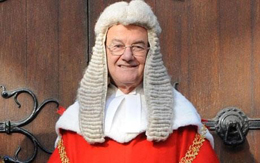 The ruling by Lord Justice Sir Jack Beatson (lead image) and Justice Sir Nicholas Green also flies in the face of the British Government’s promise to preserve the primacy of the British courts over the EU judiciary, and keep London’s market dominance for global litigation. Acknowledging that the issue will be tested in the parliamentary election due in three months’ time, embattled Prime Minister David Cameron has claimed: “We want to make the Supreme Court supreme”. Cameron has promised to introduce a new Act of Parliament to establish the superior status in law of UK courts over the European Court.” That hasn’t happened. The EU and UK sanctions against Rosneft were introduced on July 31; the implementing regulations followed in August and September. They have curtailed exports to Russia of oilfield technology and equipment for Rosneft’s deepwater and shale oil explorations. They have also banned new international bank financing for all of Rosneft’s business lines. Rosneft’s lawyers filed their case against the sanctions at the European Court on October 9. They followed with their case against the British Government in the High Court on November 20. On November 27 Beatson dismissed a preliminary application by Rosneft to suspend the effect of the UK sanctions until the High Court had time to hear argument and judge their legality in line with British law. Beatson claimed Rosneft wasn’t a victim under EU human rights law; and that the sanctions rules in the UK weren’t so vague or uncertain as to violate UK law. He ignored Rosneft’s argument that the domestic courts have jurisdiction over the sanctions regulations introduced by the UK Government, following the EU action. He dismissed the likelihood that UK violators might be criminally culpable if they continued to trade and bank with Rosneft. The lawyers then argued their full case on January 27 and 29. 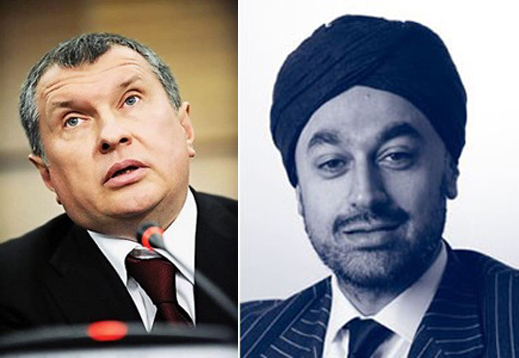 Rosneft chief executive Igor Sechin (bottom left) selected Pushpinder Saini QC (right) as Rosneft’s principal advocate. For more on Sechin’s options, read on. Judge Green has written the new judgement. Read it in full. Green, 57, is one of the High Court’s most junior judges; his appointment by the Cameron Government was issued in October 2013. London newspaper The Lawyer, reporting Green’s appointment, described him as a “speciali[st] in all aspects of competition, European and regulatory law”, but no case has been identified from media reporting of his practice before the Bar, or since his promotion to the Bench. Green is more camera-shy than other High Court judges; no photograph of him can be found. That’s shorthand for the politically explosive issue of whether the UK should stay in the European Union (EU), or call a national referendum and leave. Four British judges have now issued public calls condemning what they are calling the “export” of sovereignty. In December 2013, the retired Lord Chief Justice, Baron Igor Judge (right), declared: “we should beware of the danger of even an indirect importation of the slightest obligation on parliament to comply with the orders and directions of any court, let alone a foreign court.” For a review of the legal and political debate, which has so far focused more on human rights law than commercial and corporate law, read this. This month Green has also been toeing the Cameron government’s line to avoid the UK courts’ condemnation of Iran sanctions. 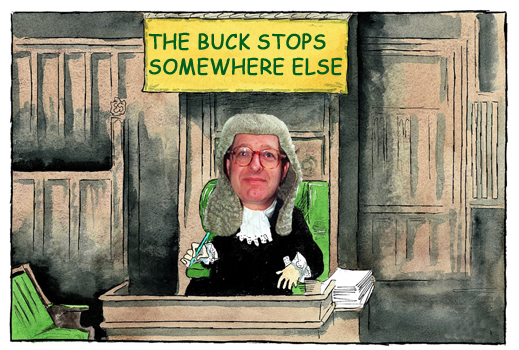 Green’s subservience to the European courts is the most explicit of any recent British judge. The only legal precedent he cites for his Rosneft judgement is a 1996 case, Cantoni v. France, in which a supermarket manager challenged criminal proceedings initiated by a pharmacists’ guild over the sale of Vitamin C and mineral supplements. The facts and the law were located in France; the court precedent came from the European Court of Human Rights. 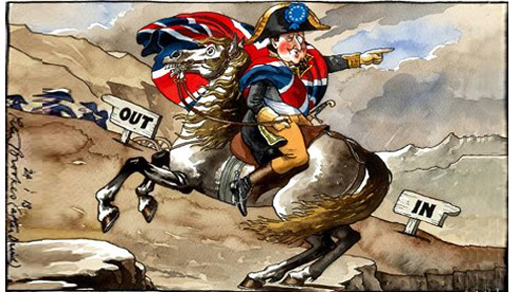 “Beatson and Green are no Wellingtons”, a British lawyer comments, referring to the Battle of Waterloo whose 200th anniversary will be celebrated in London in June.